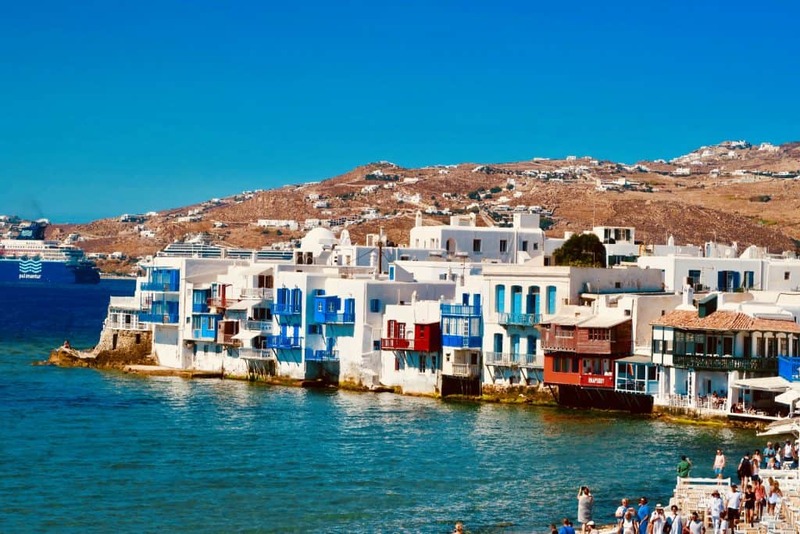 Mykonos is a beautiful island in the Aegean Sea, and has become one of the most popular vacation spots in the Greek Islands. I had a wonderful time on my visit to Mykonos, and would like to share some of my experiences with you. 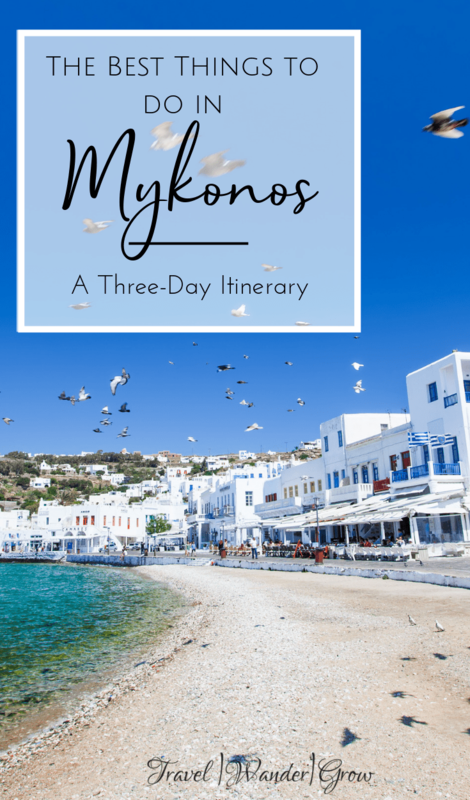 In this post, I’ll talk through the best things to do in Mykonos and provide this information in a three-day itinerary. Day 2 | Beach Day! Getting There: This island of Mykonos is situated about 93 miles east of Athens. It is easily accessible from Athens via plane or ferry. You can also ferry to many of the nearby islands to Mykonos as well. Check out the website Let’s Ferry to book ferries from a variety of companies. 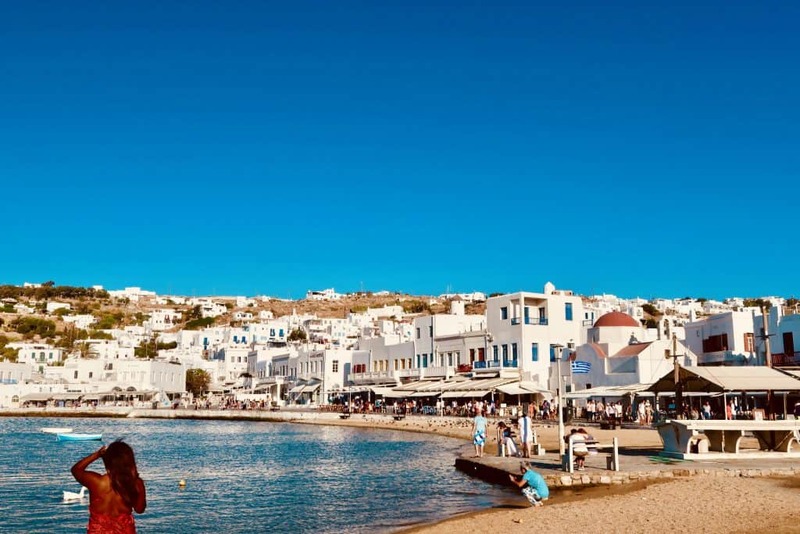 Where to Stay: You really have two main options when selecting a place to stay in Mykonos: 1) Mykonos Town (where nearly the entire population lives) or 2) the beach. On our stay we opted to stay in Mykonos Town to be close to all of the shops and restaurants. The town is also incredibly cute! We stayed at this Airbnb right in the heart of town – I highly recommend it! Doris, the host, was awesome. She even took us to and from the port to our ferry free of charge! If you decide to stay near a beach, check out “day 2” below for more information on the island’s beaches. Getting Around: The cheapest way to get around the island is by local bus. This bus has a stop within Mykonos Town and will take you to all major points around the island. For more details on the local bus and the schedule click here. Other options include taxi as well as car or motorbike rentals. Currency Situation: The currency used in Mykonos is the Euro. See my post on Santorini for additional information on currency. 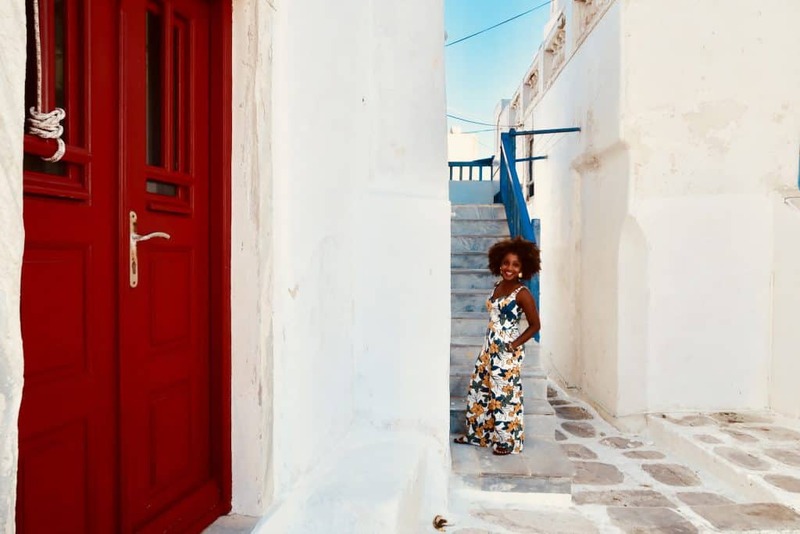 Language: Greek is the official language of Mykonos, but you shouldn’t have too much trouble finding locals who speak English. I still suggest that you learn at least a few greetings in Greek, though. Head over to this post for Greek travel phrases. When to Go: It’s best to visit Mykonos from the late Spring to early Fall time frame. See my post on Santorini for additional information on when to travel the Greek Isles! For your first day in Mykonos, I recommend starting out your day with shopping! There are many souvenirs and boutique shops located throughout the city. You can find anything from your standard souvenir items to high-end quality leather or jewelry shops. It is definitely worth the look if you want to find a unique item to take home with you! Don’t forget to stop to take a few pictures as you make your way through the town. The white-washed walls and colorful doors and windows are definitely photo-worthy. After a bit of shopping, you should head over to the Old Port to grab a bite to eat from one of the many restaurants lining the port. I recommend eating outside so that you can enjoy views of the water and the hills that sit behind the port. Close out your first day by catching the sunset in the “Little Venice” area. You should aim to grab something to eat or drink in one of the restaurants lining the bay. Get a reservation in advance to make sure your viewing spot is confirmed! This will help you avoid fighting the crowds or needing to find a seat far in advance. If it interests you, there are many options for nightlife around Little Venice and throughout Mykonos Town as well. 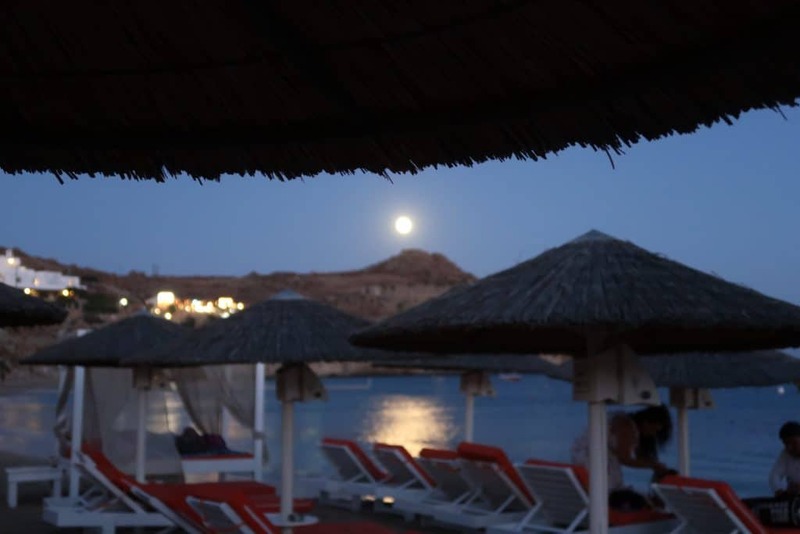 Platos Gialos Beach: A hotel with beach activities, hotels, and tavernas – A great option for families! Paradise Beach: One of the more lively beaches that gets particularly lively at night. This is a great option for younger or single travelers. Super Paradise Beach: This is a very popular beach known for having great sand and beautiful waters. Head over to this beach early if you want to secure your spot before the crowds arrive! Ornos Beach: This is a quieter beach that is also family friendly. It’s located in a bay with great views and many beach activities. A nice alternative to the more lively beach options above. Note, there are more beaches on the island, and you can find a full listing here! Spend your third day in Mykonos taking an excursion from the island to Delos! 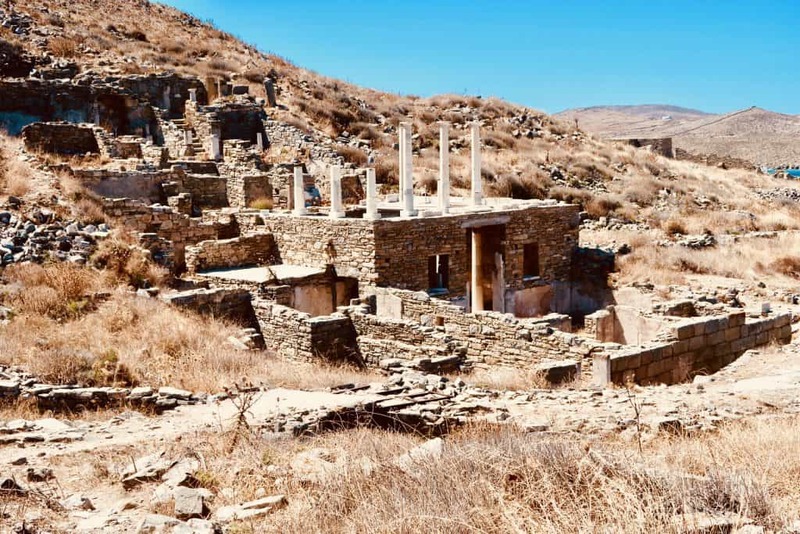 If you’ve never heard of Delos, let me give you a quick history on this island. Delos island served as a religious center for religions throughout the neighboring regions from the 8th through the 1st century B.C. The island was densely populated, with a population of 80,000 citizens and servants at its highest point. It is also the location of the world’s first currency exchange, as people from many different cultures lived there. It was burned down by Roman enemies in 88 B.C. and again by pirates in 69 B.C., and was left uninhabited for 2000 years. Despite the fires that destroyed the island’s homes, the remains you find there are quite remarkable. I recommend going with a guided tour so that you can best understand what life was like on the island in ancient times. We took the Ancient Delos Tour. This tour featured a wonderful guide who walked us through the ruins and really brought them to life. The tour also included passage by boat from Mykonos to Delos – a short 45 minute ride away. Close out your last day in Mykonos by grabbing a final bite to eat in Little Venice. You’ll be able to catch the sun set over the Aegean Sea once more before you leave :). That concludes my recommendations for the best things to do in Mykonos. I hope that this post provides enough information for you to get a taste of what it is like to vacation on this lovely island. Let me known if you have any questions! And if you’ve visited this island before, be sure to add your comments below! Wow when does the next flight leave? Gorgeous photos ..gets my wander lust going! I am so glad to have discovered this site. The Greek islands are on my bucket list for sure. And I did not know that area was called the little Venice. You bring it so alive, I can feel the ancients that lived there. Excellent, detailed travel information about Mykonos. I have been thinking of seeing Greece for several years. I have a Greek friend in the US that talks about what a great place it is. I also have friends that have visited, and all have said it is most enjoyable. And what is a tour of Greece without a visit to the Greek Isles. I will bookmark this article, and refer to it as I get closer to making the trip a reality. Hi Tom – A Greek friend I had in high school also encouraged my visit by showing me beautiful photos of his island. I hope you can visit the Greek isles very soon! Beautiful website, there is so much awesome content here. Now I know where to go and what to do if I ever visit! Thanks for your kind words, Hikurangi! Hi Dave – So glad that you found the information useful! I do hope you and your wife get to visit the island very soon. If you have any questions, just let me know! 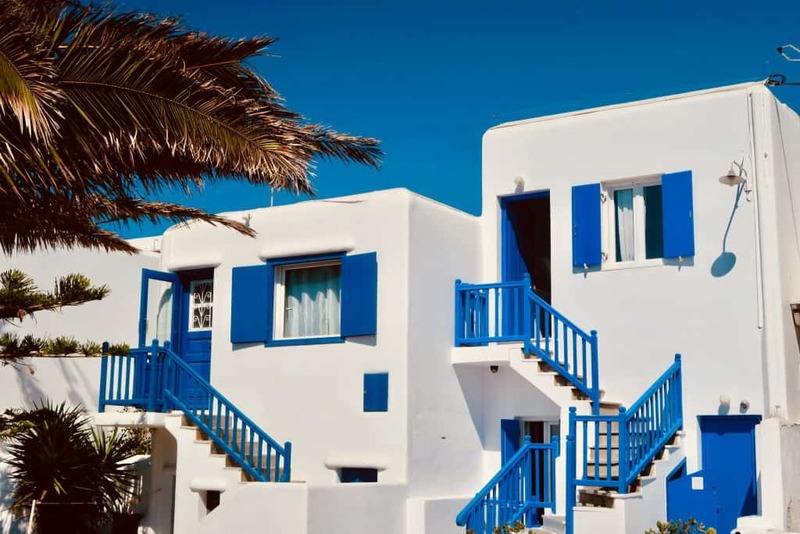 Wow…awesome site Christen These are fantastic pictures, I have been wanting to travel for a while, but after visiting your site…I am bugging my husband to go to Greece lol. Thank you for being a wonderful “tour guide”. Hi there Christen, I love the quality of your site by the way. I love the fact that this post is so personal. You have been there! Always best to get tips from someone who has been there. Great photos too really makes me want to be there. The information is not exhaustive and we only getting a taste as you said and I think this works for you. Who has got time to read and read and read. Sometimes a taste is all your need. I appreciate this a lot. Hi Dwyan – You are exactly right, this is my personal perspective on the island, based on my travel experience. Glad you enjoyed the read! 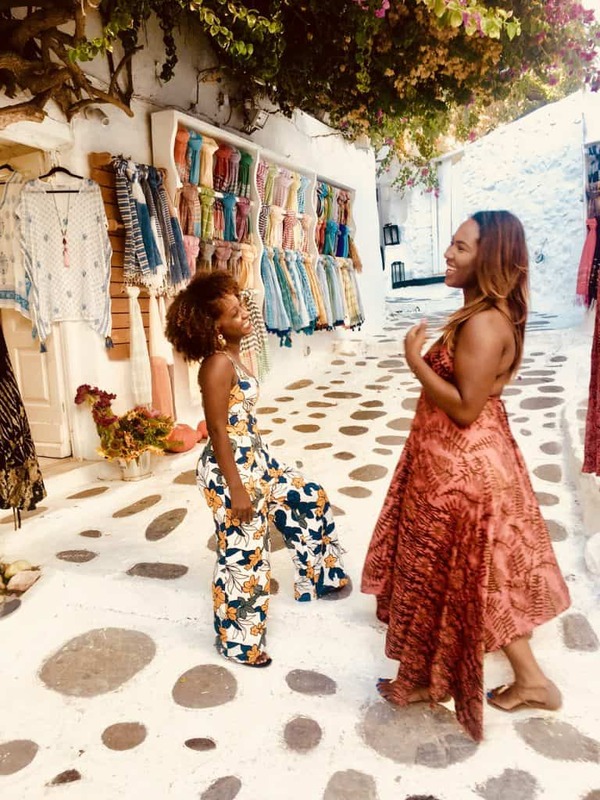 OMG Christen this is a fantastic review on he best things to do in Mykonos, Doris sounds fabulous and I want to stay with her at the airbnb you suggest!! and then I will definitely be checking out Delos, I love European history and how far back it goes so this will absolutely on the list!! I think I should start saving now!! Thanks so much for the recommendations, I am going to keep this on file as a reference. Thanks for sharing. Hi Nicole – Delos was one of my faves. Happy to meet a fellow history enthusiast :). Hope you can visit this wonderful island soon! Hi Crystal! I hope you can incorporated a few things from this itinerary into your honeymoon. Feel free to reach out with questions! 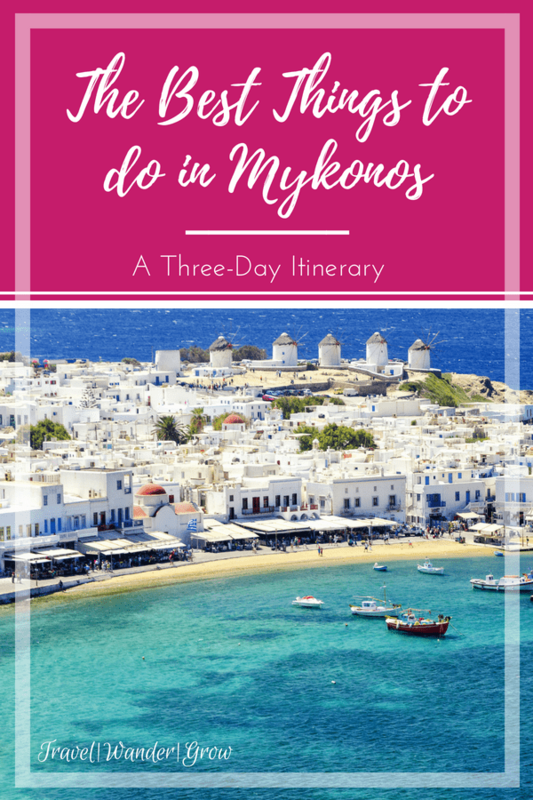 What a truly inviting blog on visiting Mykonos. It looks simply beautiful. Have always been a dream of mine to visit the Greek Islands. Far back I had Greek great grandmother who was Greek so do think I should go. Thank yo for such a lovely overview. You described everything so well and the photos are lovely. Will be following you on Bloglovin. Thanks Jill! Glad I could inspire you a bit – I do hope you can travel to Mykonos soon :). And thanks for the Blogloving follow! I WANNA GO NOW! I’ve never heard of Mykonos now I’d really like to go there. We haven’t really been able to travel lately but this would be at the top of my list. The pictures are absolutely fabulous. They look like they’re from a professional catalog or something. Thanks Dexter!! I’m working on upping my photography skills, so your compliments mean a lot :). I still haven’t gone swimming this year! I want it so much! Your photos just reminded me how much!!! I’m glad that you put info about the beaches. Saved me the time to search. P.S. : What’s your favourite island? Glad you found this helpful Jenny! So far my favorite island is Santorini, but I’m looking out to exploring more islands there.